Digitize business cards, share GIFs, and defend tiny cities from menacing clouds with today’s collection of apps and games. SamCard Pro-business card scanner&reader&visiting ($3.99 → Free, 13.4 MB): Digitize and archive business cards with SamCard. Business professionals. Stop wasting time manually adding business card information to your personal database. Instead, snap a photo and let SamCard do all of the work for you. The app is able to automatically recognize business card text and add it to the appropriate fields. Just make sure you have the business card in good lighting. SamCard’s anti-shake photo shooting mode should also help you achieve fantastic results. SamCard Pro-business card scanner&reader&visiting is available for free for a limited time. It has a 4.5-star rating with a total of 368 ratings. Windy ~ Natural White Noise is available for free for a limited time. It has a 4.5-star rating with a total of 5635 ratings. Giflay – GIF Viewer ($1.99 → Free, 6.5 MB): Giflay is the best way to view and organize all of the GIFs. 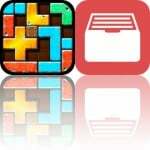 AppsGoneFree users who are total GIF fanatics. Giflay is all about simplicity. It automatically grabs all of the GIFs from your photo library and presents them in a large scrollable grid. GIFs can be imported from your computer over Wi-Fi as well. You’re able to play GIFs, zoom in, and view them frame-by-frame. Your GIFs can also be gathered into albums and passcode protected. The app also includes eight color themes, the ability to open GIFs in other apps, and the ability to share GIFs. 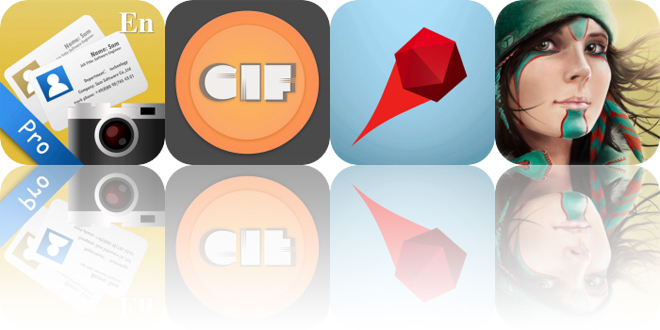 Giflay – GIF Viewer is available for free for a limited time. It has a 4.5-star rating with a total of 146 ratings. Deflecto ($0.99 → Free, 127.5 MB): Defend tiny cities from menacing clouds in Deflecto. Fans of arcade games. Deflecto is Missile Command for the mobile generation. The clouds above the city send objects raining down, threatening the civilization. It’s up to you to fling them back towards the clouds and eventually destroy them. The more clouds you destroy, the faster they will become. Try to avoid deflecting important power-ups because they will be lost forever. The game includes nine levels. Deflecto is available for free for a limited time. It has a 4.5-star rating with a total of 28 ratings.